Our green bulk 1000 foot solid Cat6 Ethernet cable comes in an easy to use pull box and is ideal for the person looking to make longer permanent network runs during installation/expansion of network infrastructure. This particular cable is a green UTP (Unshielded Twisted Pair) solid cable. The individual conductors are 23 AWG (American wire gauge) solid pure copper. Pure copper conductors provide the best signal possible. Cat6 cable includes a spline to help ensure separation between the pairs which limits cross talk. 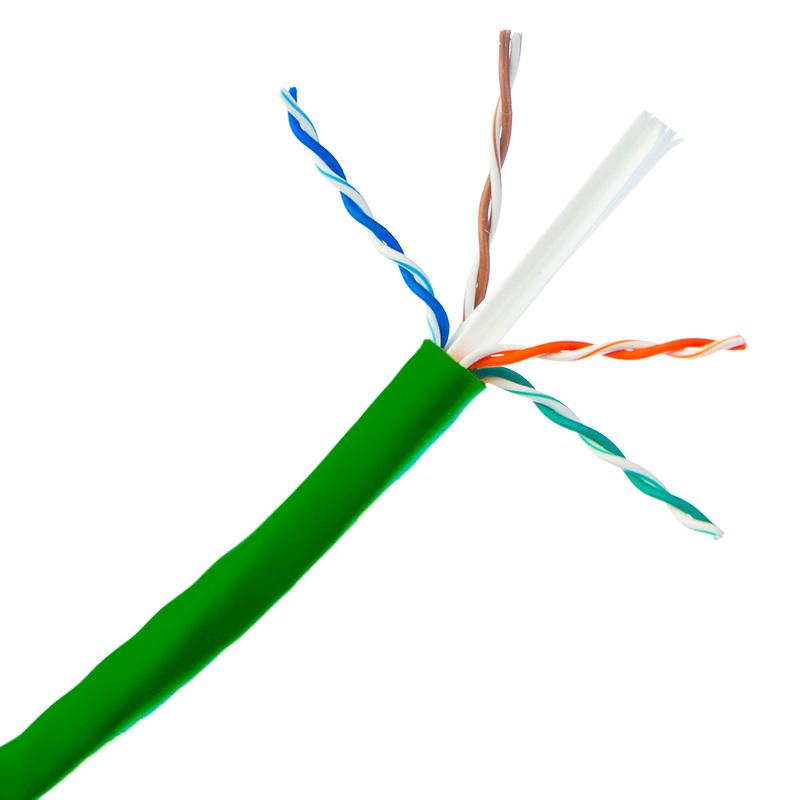 Our Cat6 Ethernet cable exceeds the EIA/TIA-568-C standard. Shipped on time. Cable was clean, coiled nicely in box. Had no quality issues with the first box I ordered, so I am back for more. Wire pulled out of box good and customer is happy.